Hey guys, I'm Simon from Jamaica & new to the forum. I recently got this beauty imported. 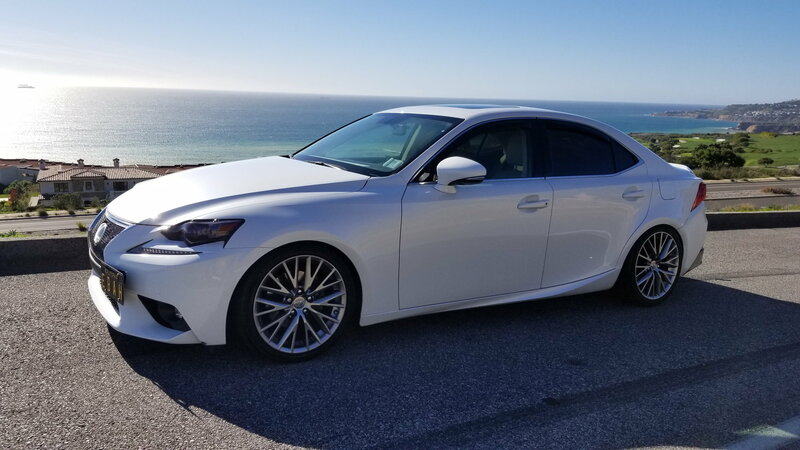 Its a 2017 IS 200t Fsport in White with Roja Red seats. 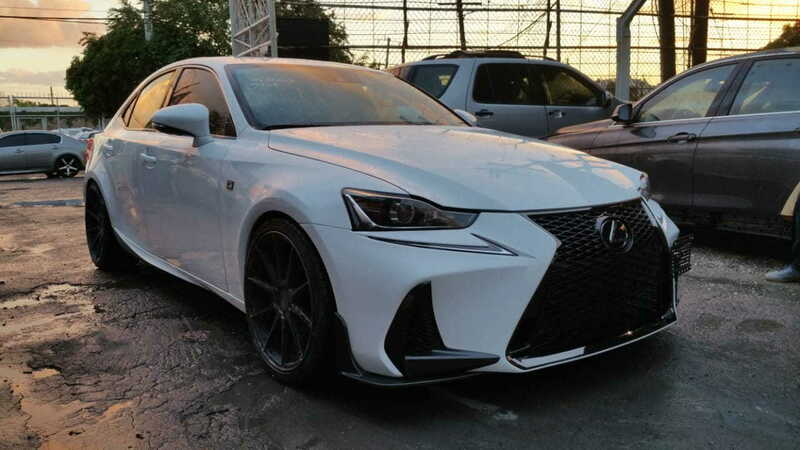 Probably the only & first one in my country that has the new facelift in F Sport model. Car runs smooth & very comfortable apart from its lag in the lower rpms, I have no complaints. It has some aesthetic mods done to it. apologies that the wheels look a bit dirty in this pic but i just got the car cleaned up. I will post more of it in the different sections. Last edited by simon876; 01-23-19 at 08:45 PM. Hello everyone! Russel in south Florida here. Just bought a 2016 is200t F sport in ultra white with the black interiour and red seats. I traded in my 2013 accord exl coupe v6, I will miss that car as I do my old rsx-s, but holy smokes Ive never driven a car of such luxury, and the way it drives is AMAZING! I can definitely feel the way it handles based on its great weight distribution, its on rails around corners and no body roll...my accord was very front heavy. The sound system is wonderful and the interior makes alot of sence and very comfortable. I drove it home in miami traffic and didn't feel as worn out when I got home. The cabin is super quiet and the seats are very comfortable. The power is nice, I love that low end torque! Im gonna have to get used to a turbo rwd, it surprised me on the highway when I got on it, I looked down and was going 90 and didnt even realize it! Welcome to the forum Russel, and your 'new to you' 200t! Was a previous '10 450h owner and now got an '17 IS300 F sport. hi guys! 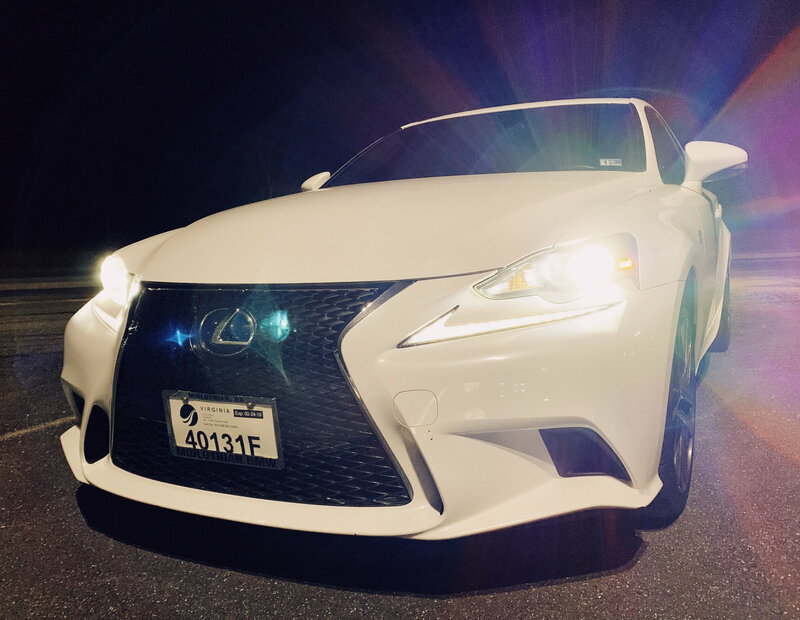 First time owning a Lexus. Just got a used 2016 IS200t f-sport. Black outside and black inside. Got a great deal on it. 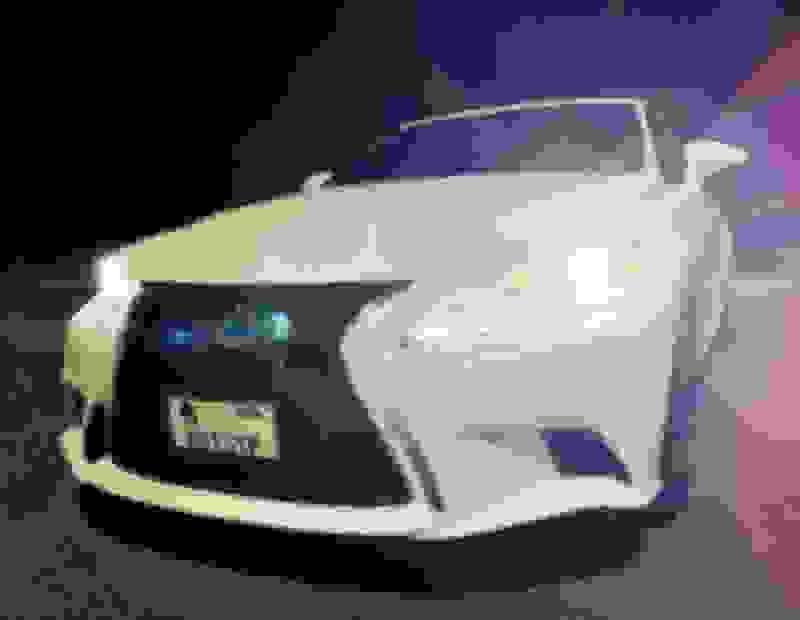 Hope to be educated on this Lexus from this forum, thanks everyone. The owner had added rsr lowering springs on it which made it look really nice. 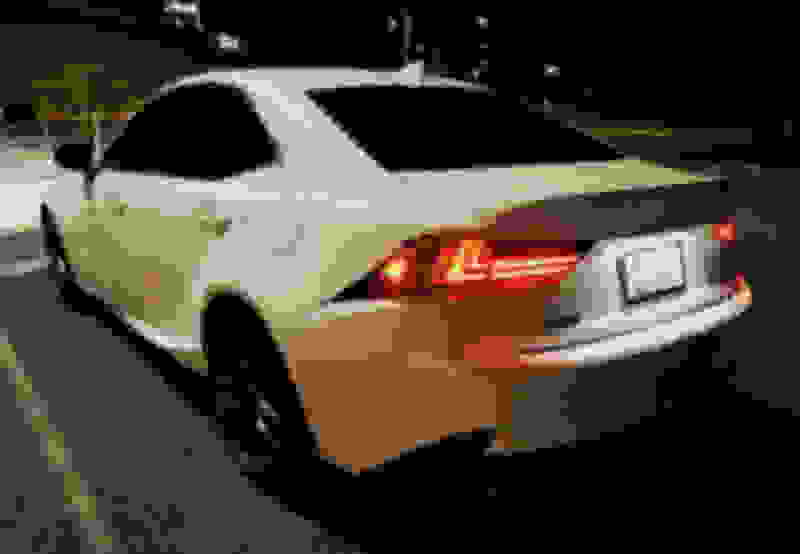 I got a 2014 lexus is250 F-sport 2.5l black interior and red exterior. I love this car!!! Welcome to the forum Cats! And a fellow 250 owner as well! I'm not much of a poster, in anything. But this has been such a great resource for the work I have done on my 3IS that I want to introduce myself and say thank you to all the great posters. Having a ton of fun with this ride. PrankMonke Welcome to the forum! Nice looking ride. So you know, I hate the background behind your car...it looks warm, peaceful, and inviting...hate all of it lol!!! You should put some pics of that front grille up...every once in a while someone asks about aftermarket grilles, and I've never seen one yet. How are you liking that Apexi controller? And if it's hard to get aftermarket parts in Cali, let me introduce you to a little place I like to call Canada lol! So far i have had my Lexus for a few months not a single complaint... well besides cup holders but can live with that. This is only my 2nd car i have ever owned and so far i feel great about my choose. Bruno753 Welcome to the forum! Congrats on the turbo ride! Just joined the 350 club! Just bought this baby a couple of weeks ago! 2015 IS 350 F-Sport in Starfire Pearl. Black interior. Windows came tinted from the previous owner. I’m coming from a 2001 Benz E320, so you can imagine this is quite the upgrade for me. I’m already looking to swap the exhaust out for the axle-back MagnaFlow. What’s the best budget option for smoking out the lights? If you have any recommendations or ideas for mods, I’d love to hear them! My car has been delayed twice now and I ordered it last year. I will post pics once I have collected it! I am a huge Lexus fan and I love the new LC500 & ES models!